PROFESSOR KEITH N. FRAYN is Emeritus Professor of Human Metabolism at the University of Oxford. He has published extensively in the area of metabolic regulation, including the textbook Human Metabolism: a Regulatory Perspective. SARA STANNER is Science Director at the British Nutrition Foundation (BNF). 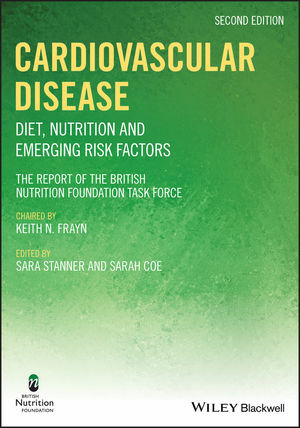 She edited the first edition of Cardiovascular Disease: Diet, Nutrition and Emerging Risk Factors and other BNF Task Force books. SARAH COE is a Nutrition Scientist at the British Nutrition Foundation (BNF). She is Technical Editor and Secretariat of this BNF Task Force report.